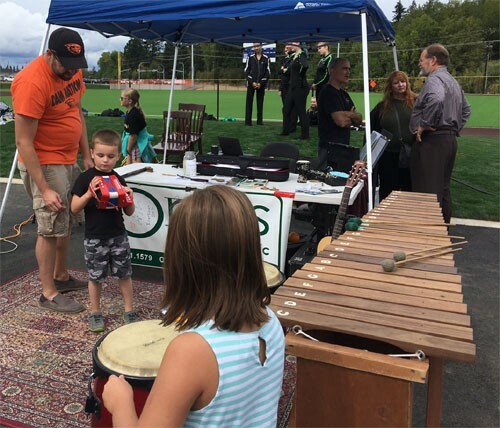 Lots of people were having lots of fun yesterday at the combination Oktoberfest and Experience Ridgefield. The skies looked ominous, but no rain fell and the coolness was very refreshing after all our warm weather. 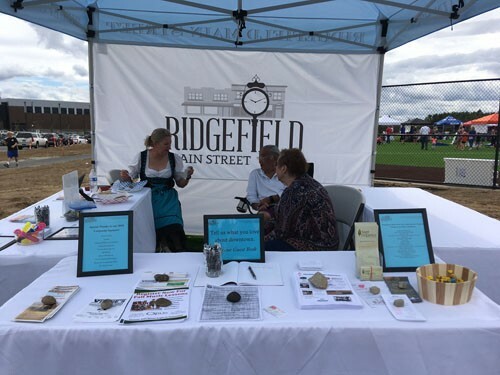 Ridgefield Main Street sponsored Oktoberfest, and all profits went to expand the many programs and improvements they’ve made in the downtown area. Spuds were there in their finery! Ron Melton of Opus Music brought instruments for people to try out. 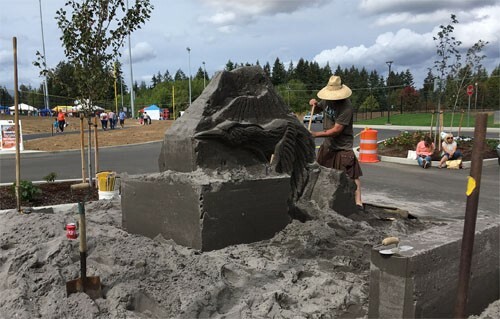 Tucked away where many people may not have seen it were two gentlemen creating a sand sculpture of the Ridgefield Schools logo.